Unless you are particularly fortunate, when you receive your car insurance renewal notice, it is quite possible that you will be asked by your existing insurer to pay more for your cover for the next 12 months than you have been paying for the previous 12 months. Unfortunately, there are too many motorists who do not bother to try to do anything about this merely accepting that their premium is going to increase and deciding to remain with their existing insurance company. 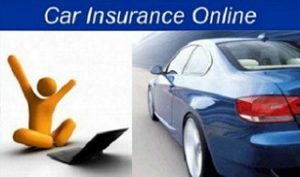 There are a variety of ways of getting some quotes for motor insurance including using the Internet. However, it is pleasing to read that, according to data from Consumer Intelligence, there are a growing number of motorists who are now moving from one motor insurer to another. In the space of 12 months, between 2015 and 2016, the percentage of people that transferred their car insurance from one provider to another rose from 36.2% to 41.8%. From 1st April 2017, the Financial Conduct Authority (FCA) will require providers of motor insurance to disclose last year’s premiums on renewal notices. This would seem to be a positive move forward as it may encourage more people to shop around to see if they can get a better deal on their cover. There are a variety of places that someone who has motor insurance can obtain other quotes from for the same level of cover to then compare them with their existing cover. For instance, you could speak to your bank, the Post Office, talk direct to some of the insurance companies, use a high street broker or use the Internet to get a quote directly from an insurer or to use the services of a number of price comparison websites from whom you should be able to get quotes from several insurers. The latter option is usually a quick way of getting a number of quotes and is used by many people. So, the next time that you receive your motor insurance renewal notice, don’t just file it way. Why not spend some time in trying to source the same level of suitable cover from another provider but for a lower premium.